Induction is available on freestanding, built-in hobs and range cookers. Simply put, induction is like having an individual heating element inside each pan. 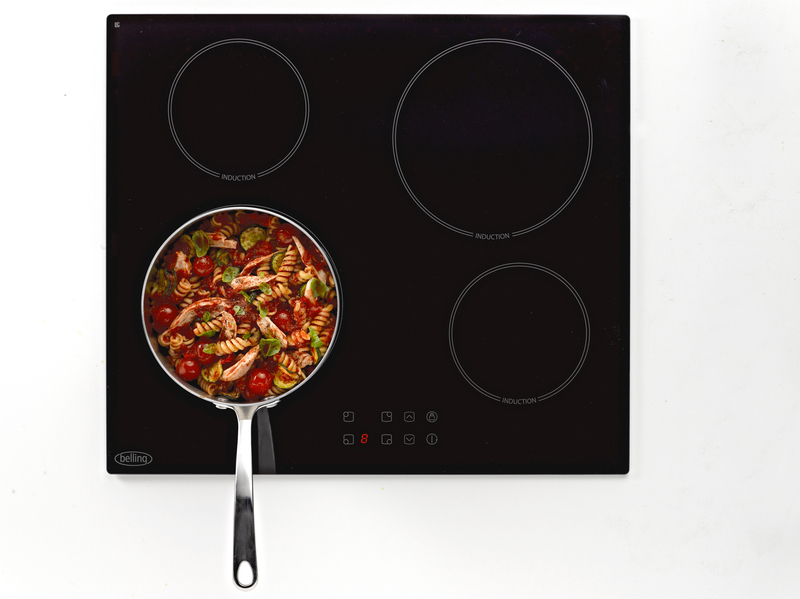 When a pan is placed on an induction hob, it completes a magnetic circuit below the hob’s surface, which creates energy within the pan’s base, this in turn heats the pan. As the heat is only heating the pan and not the zoned area no energy is wasted. All pans with iron present in their base can be used on an induction hob. A simple test with a magnet will reveal the suitability of a pan. If the magnet sticks to the base of the pan then it is suitable for an induction appliance. Intuitive technology means you can pause, recall your last temperature or even program when your hob turns off, helping you to achieve perfect results. It’s nearly twice as fast as a gas hob and 30% faster than ceramic. 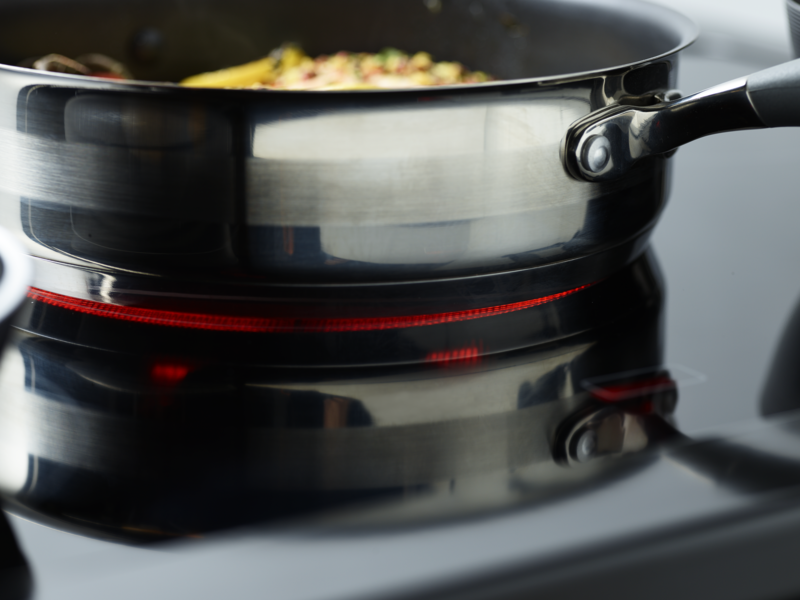 You have the option of power boost which draws additional power when required – perfect for wok cooking. The hob will not function unless a suitable pan is placed on the zone and if left unattended for a long period all cook zones will automatically turn off. 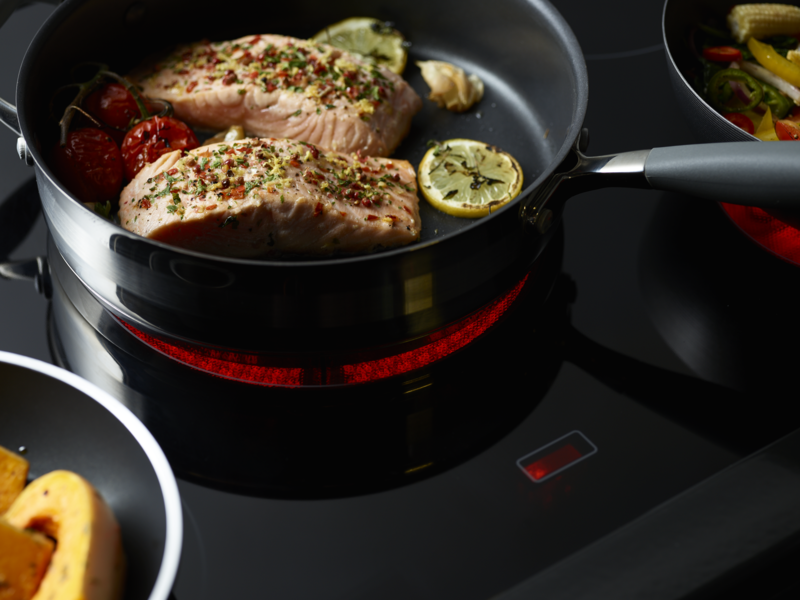 Induction cooking doesn’t lose any heat through convection, so it’s 30% more efficient than a gas hob and 25% more than a ceramic hob.